A Summary of our Services. Click the links at the foot of this page for details of each service. Sear and Cowen glass & Glazing Ltd offer 24hr boarding to secure your premises and can also replace all glass whether single or double glazed. Click the link below for full details of our 24hr boarding and glazing service. Whether you need brand new double glazed units or the replacement of broken or misted up windows we can supply them in various types of glass and any size requirement. Click the link below for full details of our sealed glazed units. We stock our patterned glass from the Pilkington range. We supply various patterns which can differ in the amount of obscurity to suit your privacy requirements. Click the link below for full details of our Pilkington patterned glass range. 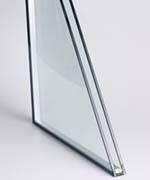 We supply laminated safety glass, manufactured in various thicknesses for domestic and commercial use. Toughened Glass can be supplied and fitted in 4, 6, 8, 10, 12 mm -single or double glazed, clear or patterned glass. We supply fire resistant glass for the home or business, giving protection & resistance from fire. Click the link below for full details of our safety and fire resistant glass. We stock and supply, ready for immediate dispatch ROBAX® glass ceramic for use in stove doors, wood or multi fuel burners, stove tops or any other application where resistance to extreme temperature is paramount. ££ Please note that we specialise in ROBAX® glass ceramic. We WILL NOT be beaten on price and can dispatch very promptly. For more information see our Wood Burner Glass page or contact us today for the most competitive quote! Click the link below for full details of ROBAX® ceramic stove glass. Click the link below for morel details of our range.